What is astigmatism? Astigmatism is a vision disorders that are caused by an irregular shape of the cornea or the lens of the eye. This situation will result in blurry vision at any distance. Astigmatism can occur at any ages. 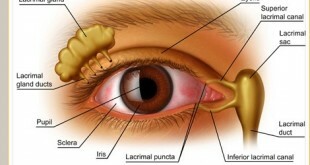 Always happens during birth and sometimes it may occur after an eye injury or eye surgery. Astigmatism occurs in nearly everybody to some degree. 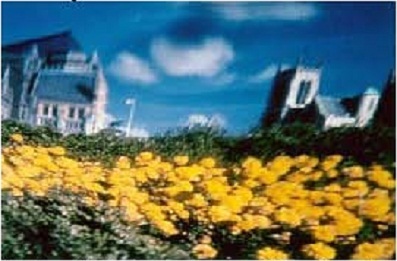 Astigmatism frequently occurs with myopia (short-sightedness) and hyperopia (long-sightedness). The actual cause of astigmatism still unknown. 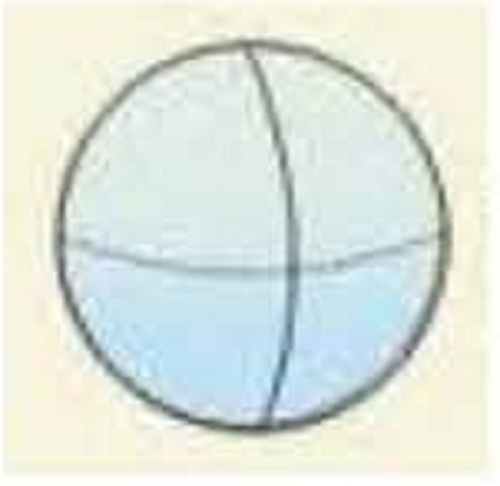 A person’s eye is naturally shaped like a sphere which is the curvature of the cornea is the same in all positions (Figure 2). When light enters the eye, it refracts or bends evenly and focus as a point on the retina and creating a clear view of the object. 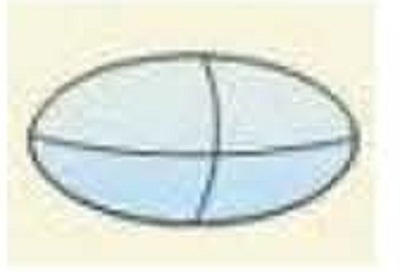 However, the eye of a person with astigmatism is shaped more like a football or the back of a spoon. 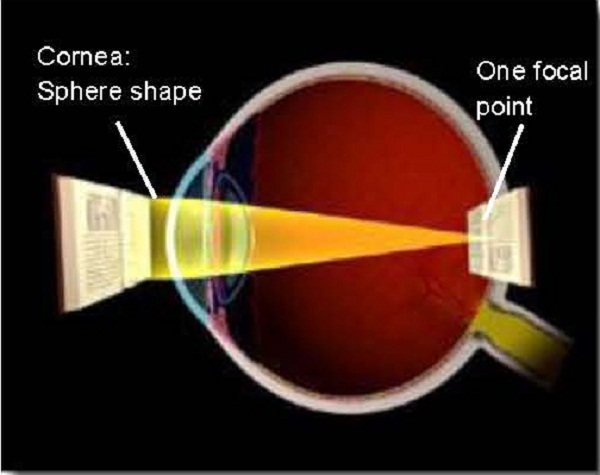 For this person, when light enters the eye it is refracted more in one direction than the other, allowing only part of the object to be in focus at one time. In other words the eye is unable to focus as a point on the retina. Objects at any distance can appear blurry and wavy. 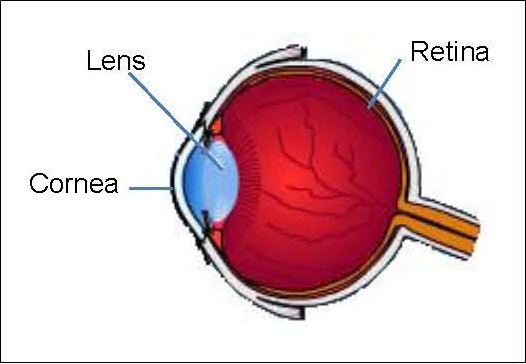 Sometimes astigmatism can be caused by problems with the cornea, such as scarring on the cornea, the lesions at the cornea and keratoconus (a condition where the cornea becomes progressively thinner and cone shaped). Uncorrected astigmatism will cause all the previous mentioned symptoms which lead on other problems such as lack of concentration and decrease work/school performance. In children, untreated astigmatism may lead to amblyopia or lazy eye. Eyeglasses are the simplest and safest way to correct astigmatism. Contact lenses provide clearer vision, a wider field of vision, and greater comfort. They are a safe and effective option if fitted and used properly. However, contact lenses are not right for everyone. There are special contact lenses for people with high astigmatism called toric lenses or RGP. Discuss this with your eye care professional. 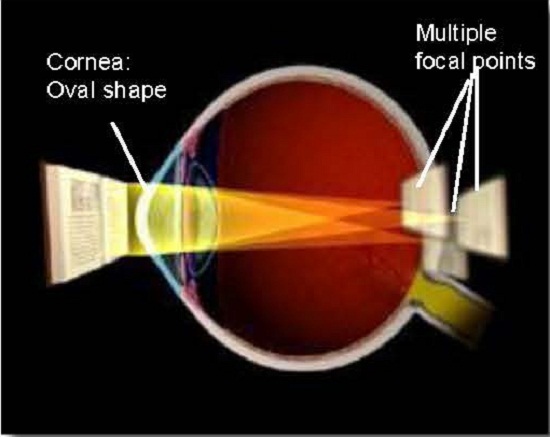 Surgery aims to permanently change the shape of the cornea through refractive or laser eye surgery. These procedures help to eliminate the uneven curvature and “round out” the cornea. Surgical options should be discussed with an eye care professional and surgical are not right for everyone. Routinely getting a comprehensive vision exam will reduce your chances of astigmatism going undetected and untreated.